In August of 2011 the Woodstock Inn and Resort, located in Woodstock Vermont, found itself in the direct path of Hurricane Irene. 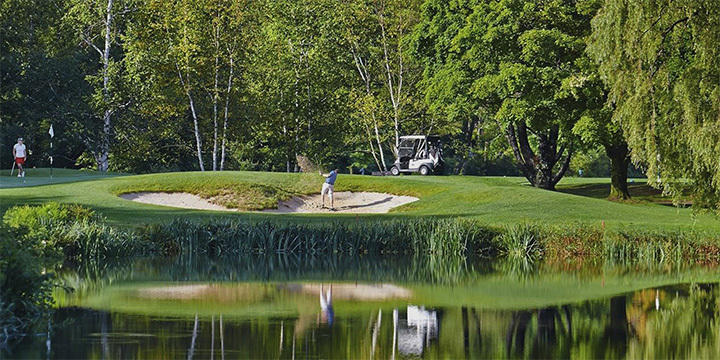 The Inn's 6000 yard par seventy course, originally designed by Robert Trent Jones Sr., took a direct hit. The storm left behind significant damage to the golf course, putting green, practice range and tennis facilities. Huntress Sports was engaged to help evaluate the damage and provide recommendations for remediation and reconstruction. 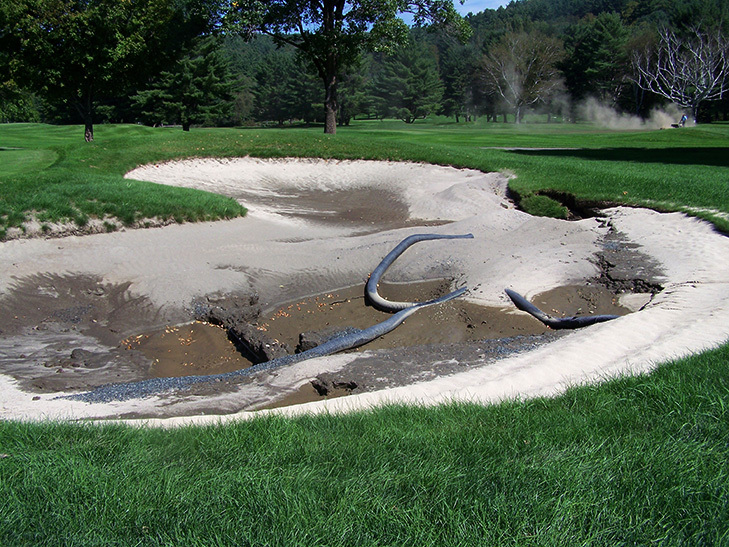 Our specific scope of work included evaluation, costs estimates, design and recommendations for the repair of all fairways, tee-boxes, sand traps and bunkers damaged by flood surge and debris. 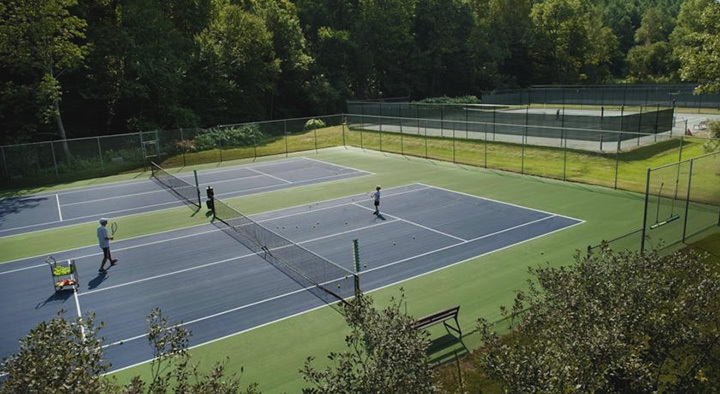 Our scope of work also included the review of damage to the adjacent Tennis Club, consisting of six clay surface tennis courts and four hard surface, an elevated paddle tennis court, and bang board or backboard court. Huntress Sports coordinated all work with the Woodstock Inn's insurance provider, contractor and in-house staff. 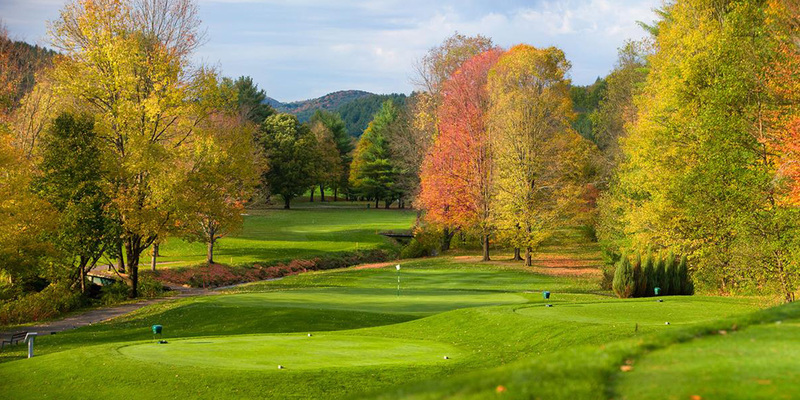 The course was successfully restored and was recognized as being one of the Top 25 U.S. Golf Courses in 2014 by Golf Advisor Magazine.